This method is a small bit complex, and you have to follow it carefully. You can also use it simple tools to quickly bypass iCloud activation lock. The Bypass iCloud Activation Lock feature is developed for iOS developer to protect the iOS devices from third-person. At a time you can enable this feature after no one can unlock your iPhone without your permission or authorization. But, what if you purchase a second-hand iPhone running iOS 11 and fixed at iCloud activation lock? At the time, you can bypass iCloud Activation Lock in iOS 11 on iPhone and iPad with some easy tricky ways apply. If you have a buy used iPhone, you will need to unlock iCloud activation lock to right to use its amazing feature. But, it’s understandable that the last user won’t give you access to its Apple ID at any cost. You will have to deal with it yourself. Hence, we will here introduce some best over suggestion to bypass iCloud activation lock on your iPhone or iPad running iOS 11.if your iPhone or iPad has run on iOS 10/9/8/7 then you need to go with the here how to Bypass iCloud Activation Lock in iOS 10/9/8/7, This method is a small bit complex, and you have to follow it carefully. You can also use it simple tools to quickly bypass iCloud activation lock. Let’s check out the simple way. Start with the simplest and easiest method and also to it’s a 100% legit to bypass iCloud activation lock. You just need to pay $50 charge to unlock your iCloud activation. The new iPhone 5 and a later model owner can find the IMEI number on the back device. If your device is not activated, tap on “i” button on the screen to get IMEI code. 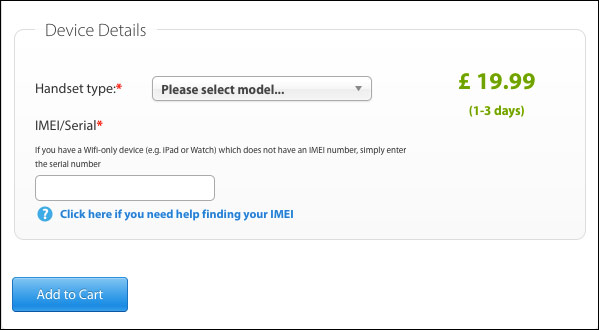 Step 2: Visit iPhoneIMEI.net, select your model number and insert your iPhone IMEI. Step 3: Next, click on the Unlock now button pay the charge via Visa or MasterCard. Don’t forget to submit your current email ID to get every update. Step 4: Now, click on Buy Now button. Now you will have to wait for 1 to 3 day to get unlocked iCloud activation lock. Step 1: Restart your iPhone and select your country and language. Step 2: Now you will ask to select Wi-Fi network, press “i” next to Wi-Fi symbol. Step 4: Tap Back, connect to your Wi-Fi network and then Done→ Activation help. Once you logged in, you will receive a message that tells you have successfully connected to my server. Step 5: Now, tap Menu, preview the apps and select the app you can get info about the last owner. Step 1: Go to OfficialiPhoneUnlock.co.uk and click on “iCloud Unlock” option at the left sidebar menu. 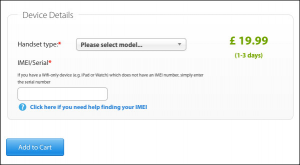 Step 2: Select your iPhone model number and enter IMEI number. If your Phone is not activated then you can tap on “i” on the screen to get your IMEI number. Step 3: Now make a payment and wait for 1 to 3 day to unlock the iCloud account. These all are an easy way to bypass iCloud activation lock on iPhone/iPad running iOS 11. I hope you have followed our points and it worked. At some point, if you have to face any Problems, feel free to ask us in the comments and if you find this article very helpful, then do share with you friends who plummeting in the same boat.